Jeff Schmitt is an experienced advisor for individuals, closely-held businesses, lenders, and insurers in a variety of legal matters and lawsuits. He advises clients proactively to minimize risk and works strategically to reach the most desirable outcomes for clients. Real Estate. Representing property owners, contractors, lenders, and homeowner associations, Jeff has an acute understanding of property and construction-related matters, including: construction disputes; contract negotiation and disputes: title; lending; liens; property easements; and indentures. Jeff regularly represents the interests of community associations in neighborhood, condominium, and townhome developments to best equip their trustees and foster cohesive and successful communities. He is also the head of the firm’s Title Litigation practice group. Banking and Finance. Jeff advises and supports lenders regarding all types of lending activities including asset-based and cash flow loans, commercial mortgage loans, and equipment. His experience includes evaluating potential collateral interests, identifying risk, and documenting the entire loan transaction. When unavoidable, Jeff represents lenders and creditors in loan restructuring, workouts, bankruptcies, and foreclosures. He also defends banks in lender liability claims. Litigation. Jeff has the courtroom experience to provide wise counsel to clients on when to assert their rights, leading them through litigation if necessary. Jeff litigates business and commercial disputes, title claims, professional negligence defense, and probate and fiduciary claims. Jeff has represented numerous clients in state appeals and Federal appellate courts, including successfully arguing Naylor Senior Citizens Housing, LP, et al. v. Sides Construction Company, Inc., et al. before the Missouri Supreme Court. Pension and Retirement Plans. Representing public pension and retirement plans in disputes, Jeff has succeeded in compelling proper funding of plans to ensure long-term availability of benefits for employees and beneficiaries through litigation and negotiation. He also represents plan trustees and administrators in defending against claims arising from their fiduciary duties to the plan. Highly respected by his peers, Jeff was recognized by The Missouri Bar Young Lawyers’ Section as a “Young Lawyer You Should Know” (2010). 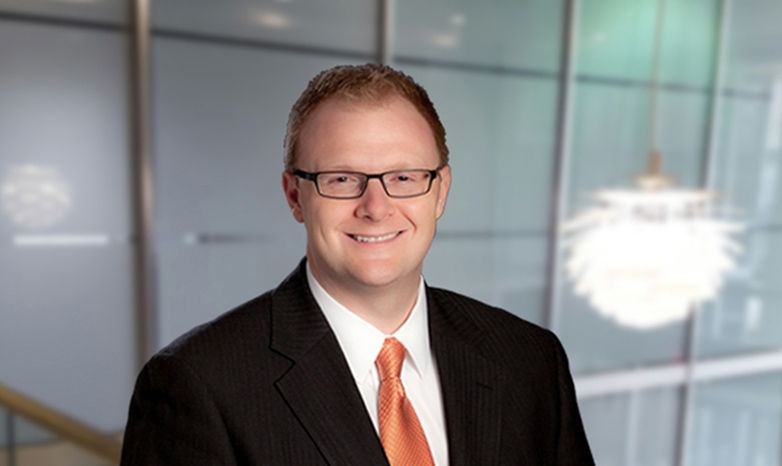 Jeff has also been selected as a Missouri & Kansas Rising Star from 2011-2017 by Super Lawyers, a Thomson Reuters publication. Jeff formerly served as president and board member for the Clayton Chamber of Commerce in Clayton, Missouri.